In a nutshell, Peru is pretty spectacular. The weather was warm, the people kind and inviting, the food incredible, the sites endless. It was more developed than we were expecting, and was even high-end in places. After several trips abroad in Europe and Asia, this trip felt the easiest for the reasons listed. We found Peru to be traveled by two types of tourists: The retirees on trips planned by travel agents or tour groups, and young backpackers with nothing planned. We fit somewhere in between the two and found it a little difficult to figure out exactly what to do (should we hike the path up to Machu Picchu, or take the tour bus??). Keep reading. 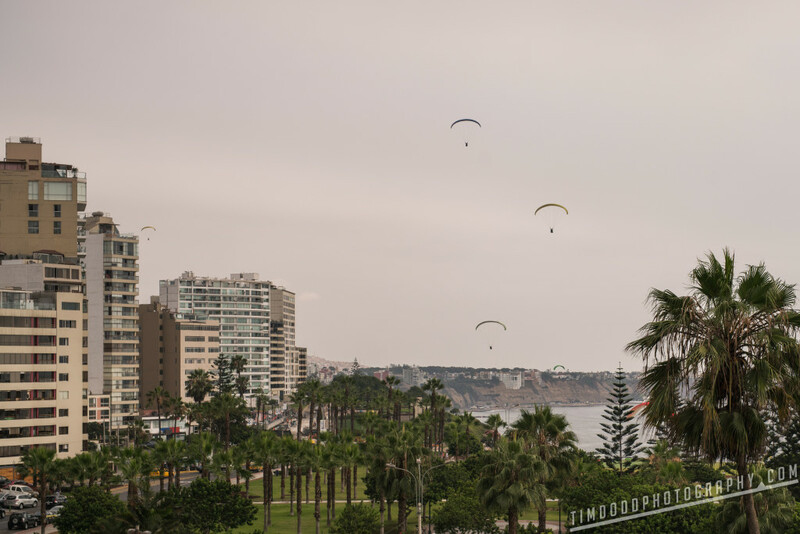 Like the large majority of tourists entering Peru, we flew into the capital city of Lima. Upon researching TripAdvisor, we decided to take the extra 30 minute taxi to the trendy newer suburb called Miraflores. We assumed staying near the airport would be a necessity for acclimating to our new surroundings, but come to find out, it was more than a necessity… It was a trip highlight. 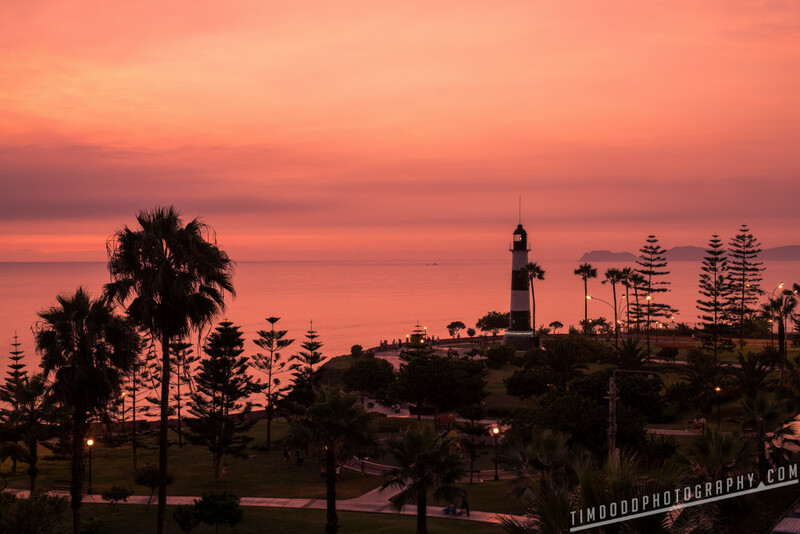 We were so glad we had 2 nights to explore Miraflores (translates to “See Flowers”). Miraflores is well developed, clean and safe. 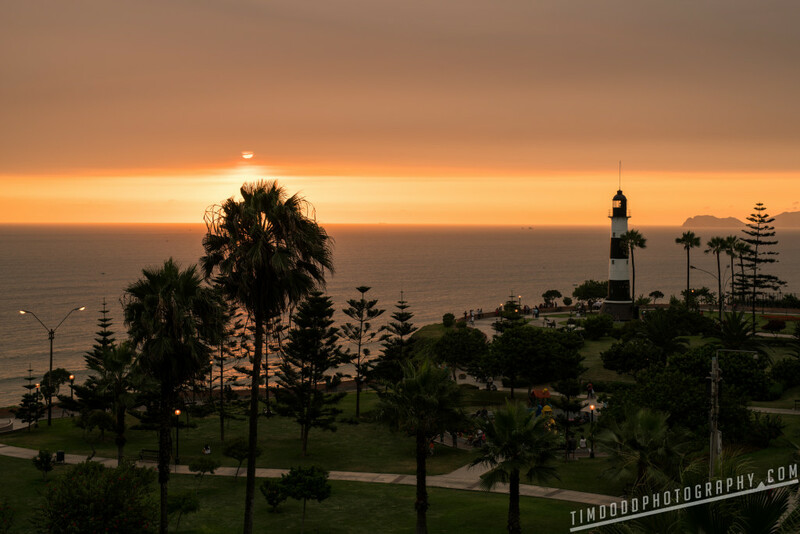 There are tourist police all over the place that have done a great job of thwarting off thieves, unlike other places in Lima. 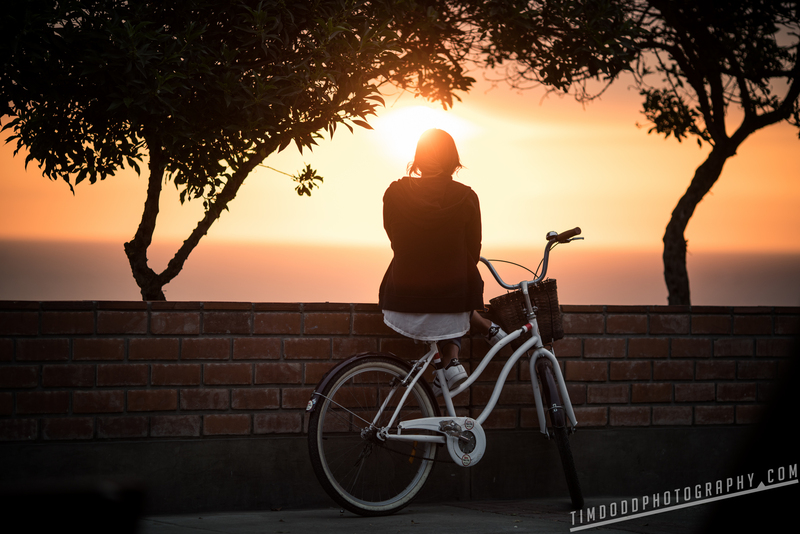 The sunsets over the coastline were gorgeous and it was fun to watch the residents & tourists alike migrate to the cliffside to watch the sunset each night. Despite it being a very touristy area, it still felt very local and metropolitan. Families were playing in the park, working out and walking their dogs. The friendly atmosphere helped us transition quickly. 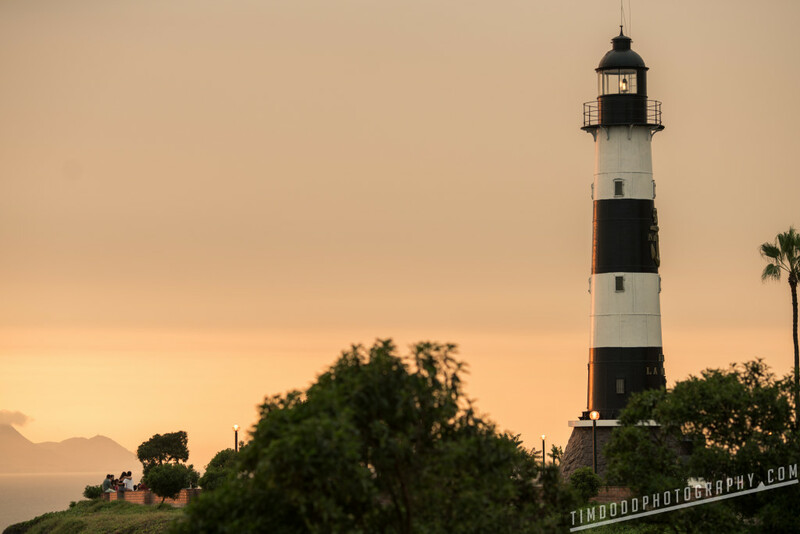 The Miraflores Lighthouse or “Faro La Marina” made for a beautiful subject at dusk. We loved the view of the lighthouse from the AirBnB we stayed in. 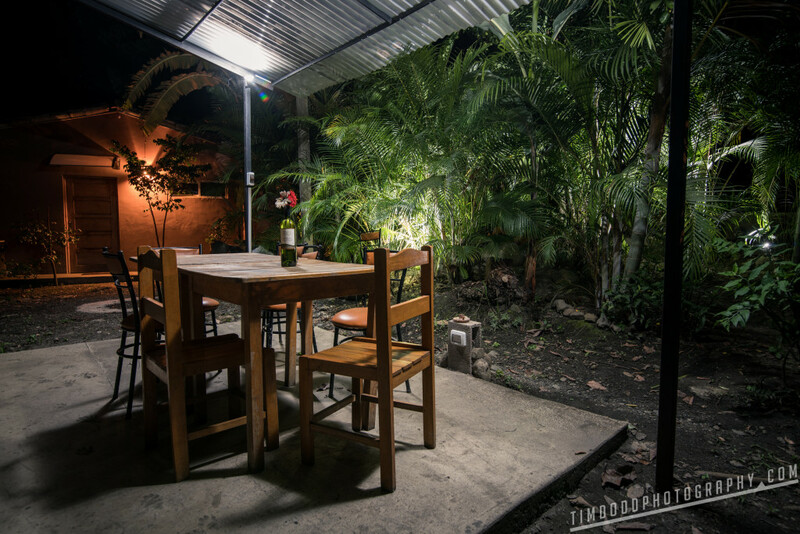 If you’re looking for a great place, we highly recommend Dennis’ AirBnB, it was fantastic!!! 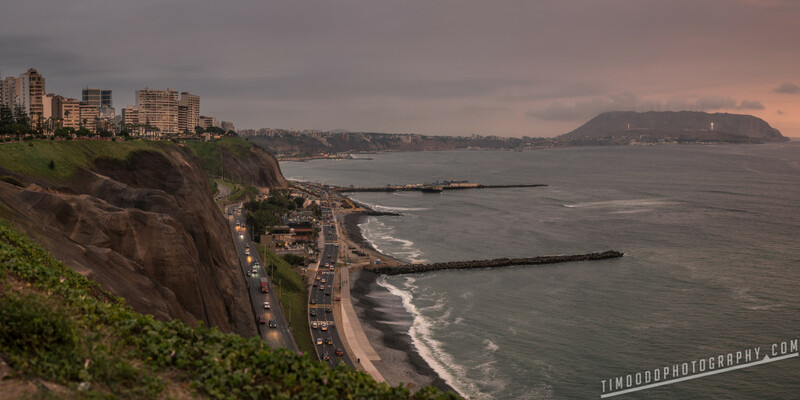 It’s within a few blocks of some of the best restaurants in Miraflores, which means they’re some of the best in Peru and the world! We especially LOVED La Mar Cebicheria. 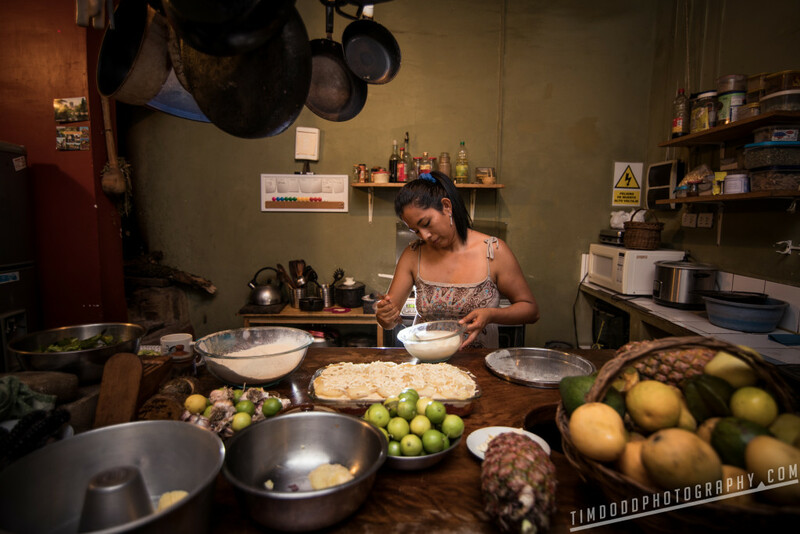 Take a load off from traveling and sample the pisco sours (try one flavored with passion fruit!) and ceviche. During the day, you can watch paragliders flying past for hours. 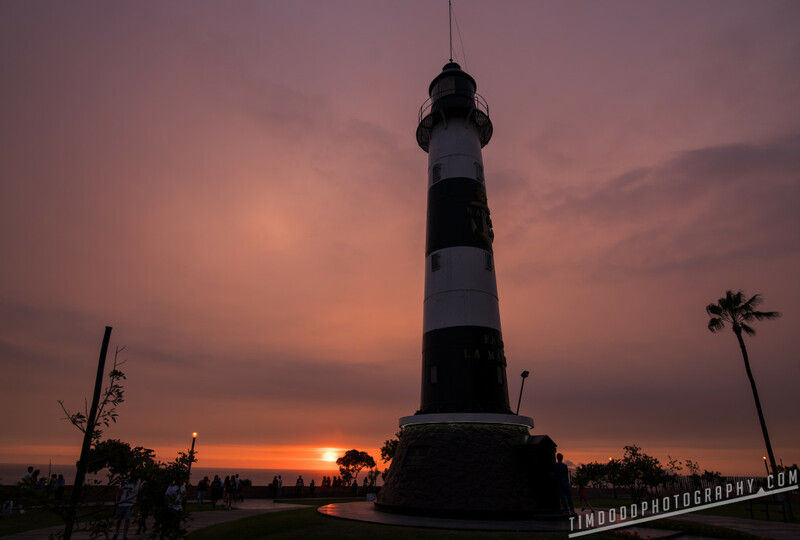 Another wonderful sunset over the Miraflores lighthouse. 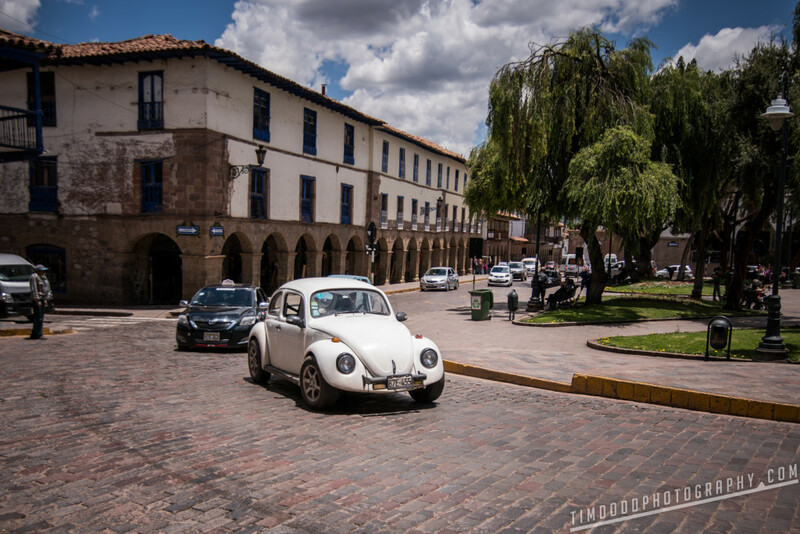 While booking Cusco, we thought of it again out of necessity in order to acclimate to higher altitudes before our big trek to Machu Picchu. I’m pleased to say again, we were pleasantly surprised. It wasn’t so much a necessary layover as just a great city to hang out in. The tight cobblestone streets and cozy cafes have a European feel, and there’s plenty of history to explore. 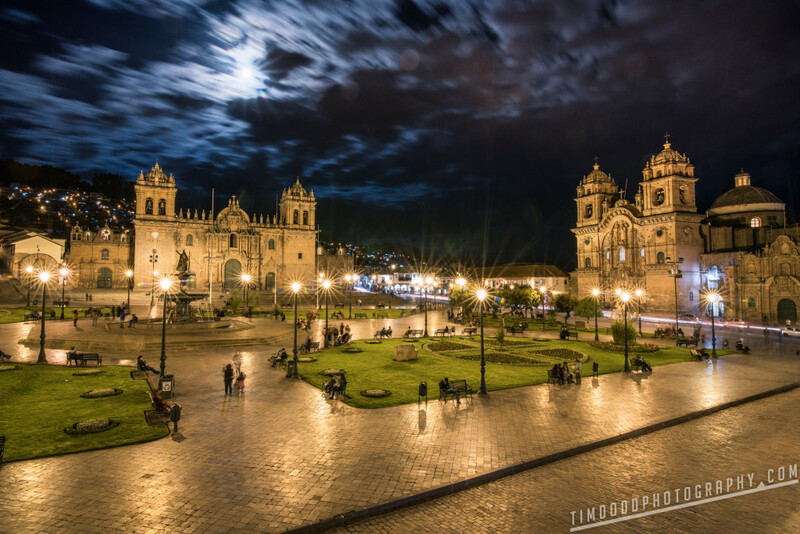 Plaza De Armas is certainly the heart of where you want to be in Cusco. 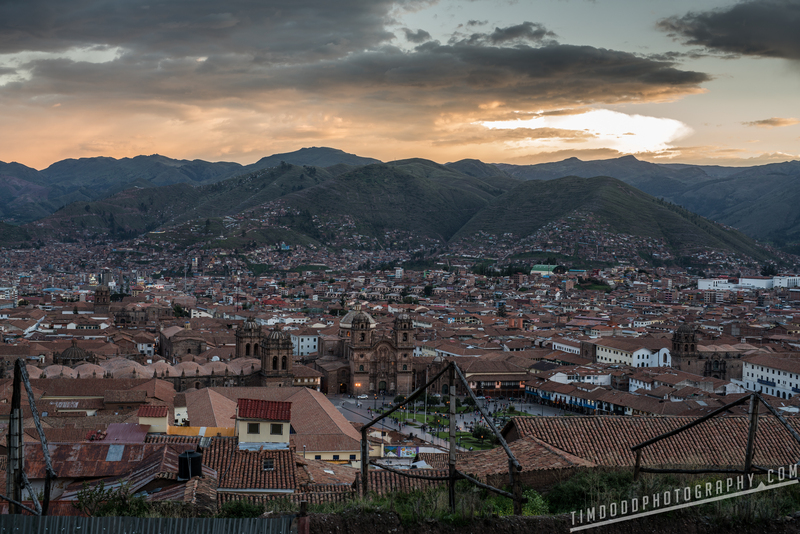 The day we landed in Cusco we were hit pretty hard by the altitude as most people forewarn. We drank as much water as we could and really tried to take it easy (i.e. move slow). It is deceivingly high in altitude. At 11,152 feet (3,399 meters), it is higher than any city in the United States. If you stay anywhere outside of Plaza De Armas, be prepared for some stairs. Not just any stairs, but stairs on stairs on stairs. 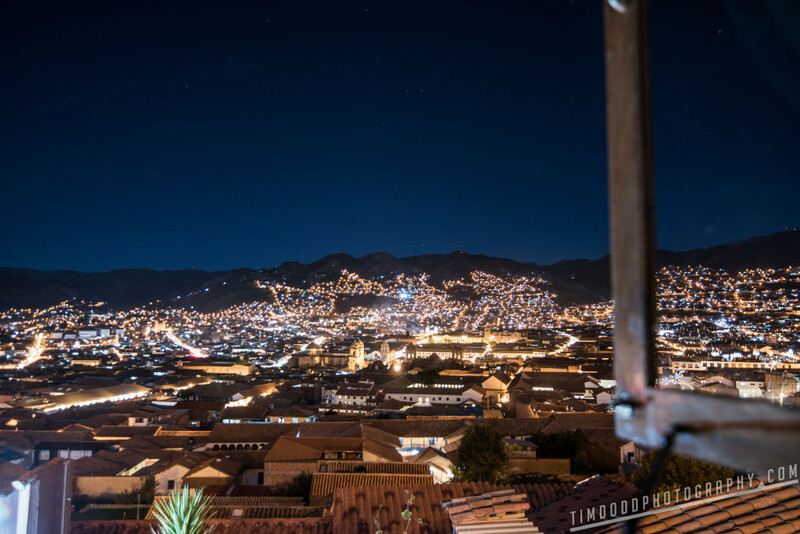 The entire city of Cusco is basically a giant bowl with Plaza De Armas in the middle of it. While this sounds potentially awful, after some acclamation (a day) it wasn’t so bad. 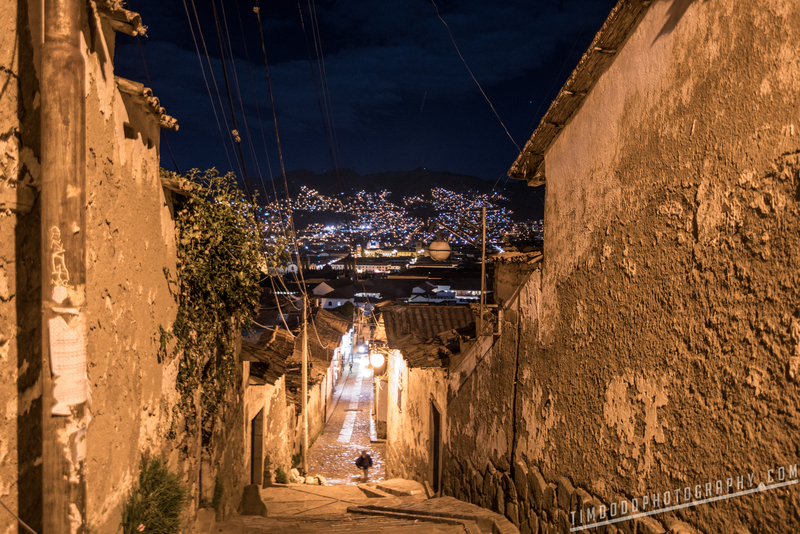 The tight streets and crazy hills offer up spectacular views and unique restaurants and bars. I love finding the tiny little places tucked in these back allies. It reminds me of some of my favorite European cities like Florence, Perugia, Assisi, and Dinon. The food and view from Paddy’s Pub was excellent! 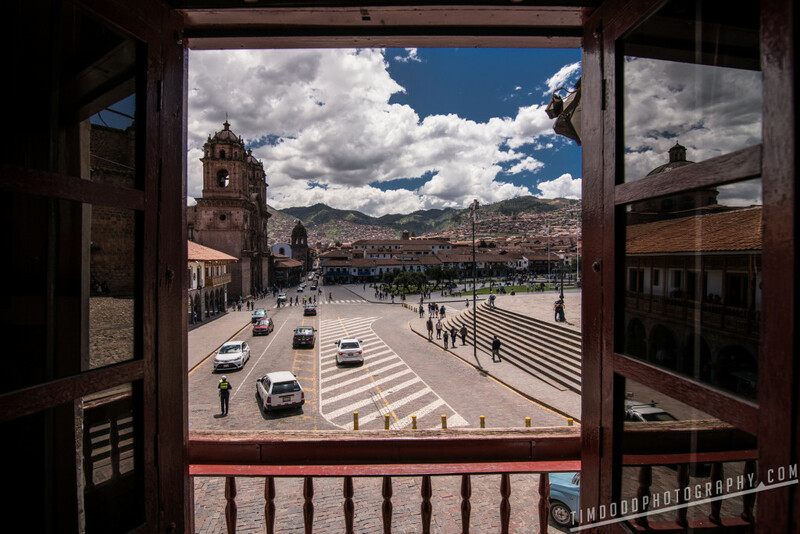 One of my favorite views of Cusco was from Plaza San Cristobal. It’s worth the trek up the hill to catch the great panoramic views. When booking your exact stay online, you would usually want to stay as close to the center as possible. From our experience, we sure were happy we stayed a little outside of the center due to the crazy amount of noise coming from the city center. Every night we were awaken by some form of fireworks and celebrations that we found out can be quite regular (especially during any religious holiday season). It might be worth noting what Peruvian Holiday your trip may coincide with and judge the location of your stay accordingly. We stayed a few blocks away from Plaza San Blas which was a popular area for tourists. There are wonderful bars and restaurants dotted through out the neighborhoods. We were also “lucky” enough experience the celebration of San Blas, which our entire neighborhood celebrated. We were awoken every 3-5 minutes by fireworks and a parade starting at 3:30 a.m. Seeing as we had to start our travel to Machu Picchu at 6:00 a.m., we were a bit cranky. 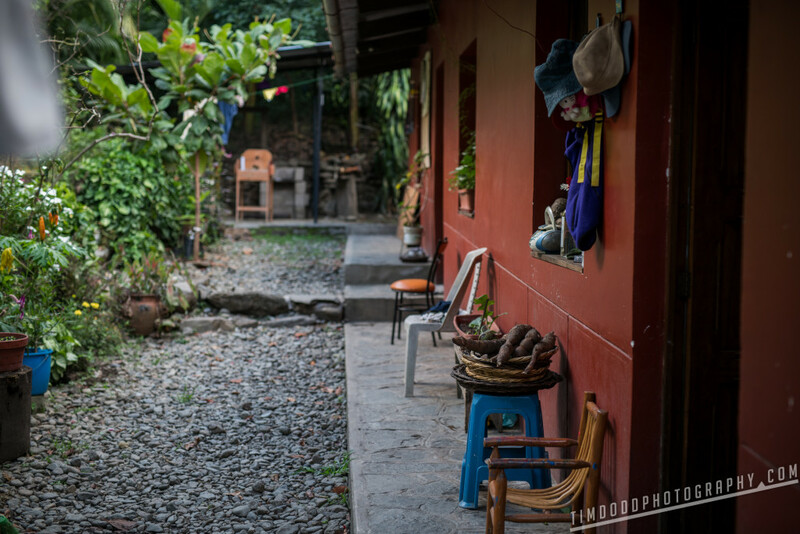 The San Blas neighborhood celebration is a 30-day celebration beginning in January. We made the most of our slow-moving, acclimating bodies by tying up any loose ends in preparation for Machu Picchu. 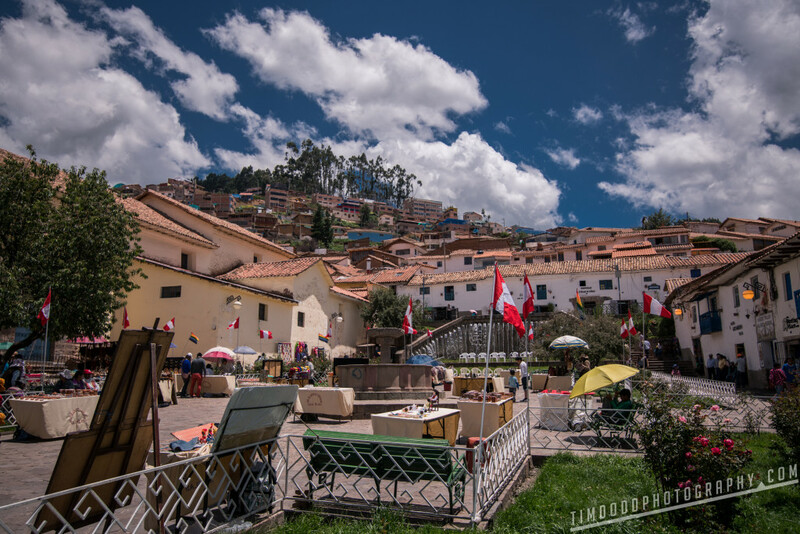 We hadn’t booked our train tickets from Cusco to Aguas Calientes before we arrived in Peru, as we found the information to be very confusing online. We ended up finding an iPeru storefront in the Miraflores mall, and their representatives helped point us in the right direction. If you ever have a question about anything, visit an iPeru. They’re wonderful little kiosks whose primary job is to make sure you’re not being taken advantage of and telling you the straight facts. They helped us navigate quite a few times. iPeru pointed us to a Lima Rail kiosk (also in the Miraflores mall). We walked in and booked and paid for our train tickets from Cusco to Aguas Calientes (Machu Picchu). Come to find out during their rainy season (November through April) they close down the line from Cusco to Aguas Calientes, so we also needed to find transportation from Cusco to Ollantaytambo. We feared this was becoming a big mess. Good news is, it was quite easy (and cheap) to find a private or collectivo (shared) ride to Ollantaytambo once we were physically in Cusco. After some asking around, we were pointed to a neighborhood a half mile straight south of Plaza De Armas. If you search in google maps “Terminal de Buses,” you’ll find a whole street of transportation to Ollantaytambo or even straight to Aguas Calientes. We ended up talking to a gentleman at Real Inka Car who shot us a quote of 60 soles to Ollantaytambo ($20 USD) in a private car, and they would pick us up at 6:00 a.m. right at our AirBnB. Sounds great! We signed some papers and left with no money down. Now just to see if they’d come on time… Sure enough, 5 minutes before 6:00 and our driver was waiting for us! They got us to Ollantaytambo quickly and safely. It worked out perfectly. We highly recommend Real Inka Car. Another tip: Make sure you book your tickets to Machu Picchu in advance. The earlier the better since it can sell out. The website is pretty awful, but give it a try. It took us a few days to finally get the payment to go through, but keep at it. If you’re like 90% of people, the reason you’re interested in coming to Peru is to visit Machu Picchu. Good news is, it’s great and well worth seeing. Bad news is, some of the magic of it being so remote and historical is lost in the hordes of fellow tourists. This is to be expected for one of the modern world wonders, so don’t expect to have the place to yourself. The train ride from Ollantaytambo to Aguas Calientes was simply wonderful. The Peru Rail train was comfortable and offered great views on the way to Aguas Calientes. Once we got to Aguas Calientes, finding the bus to take us up to Machu Picchu was easy (just follow the crowd). We didn’t book tickets ahead of time or anything, just went to the bus ticket booth and grabbed a ticket. 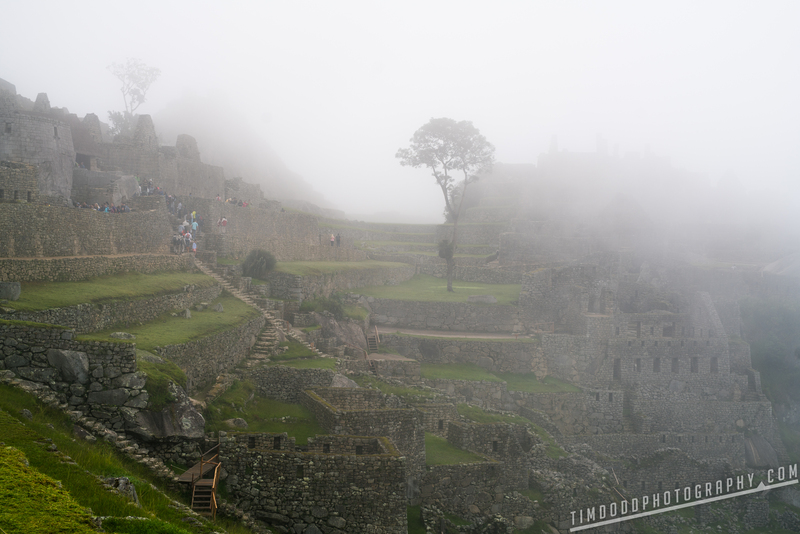 This might not be the best option if you’re visiting Machu Picchu during peak season, but this was a perfectly valid option for us in January. 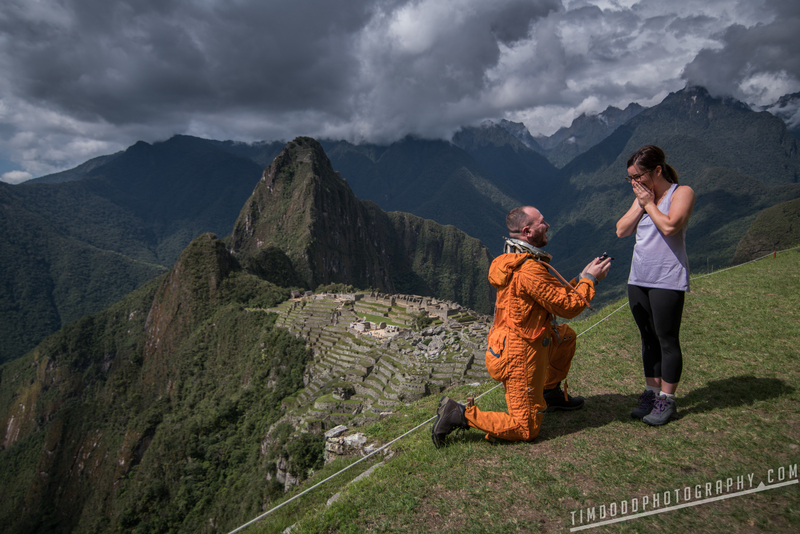 Machu Picchu became an extra special place for Audrey and I, as it is where I proposed to Audrey after five wonderful years together. 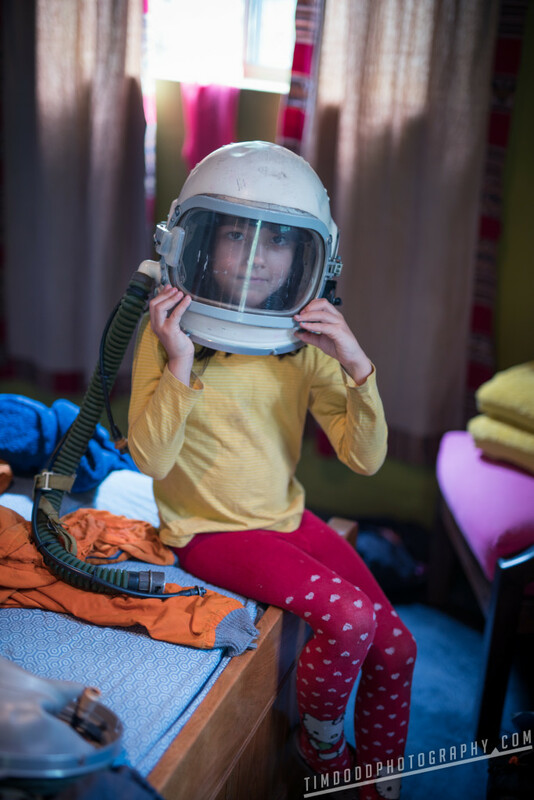 Audrey would’ve killed me had I proposed to her in my Everyday Astronaut suit, so this is actually just after the fact. SPLURGE WARNING! I figured our engagement would warrant a stay at one of the most expensive hotels in all of Peru, the Belmond Sanctuary lodge. One of the reasons I booked the Belmond for a night was to try and get a picture of Machu Picchu at night. Let me tell you, it probably won’t be much better than this (below). 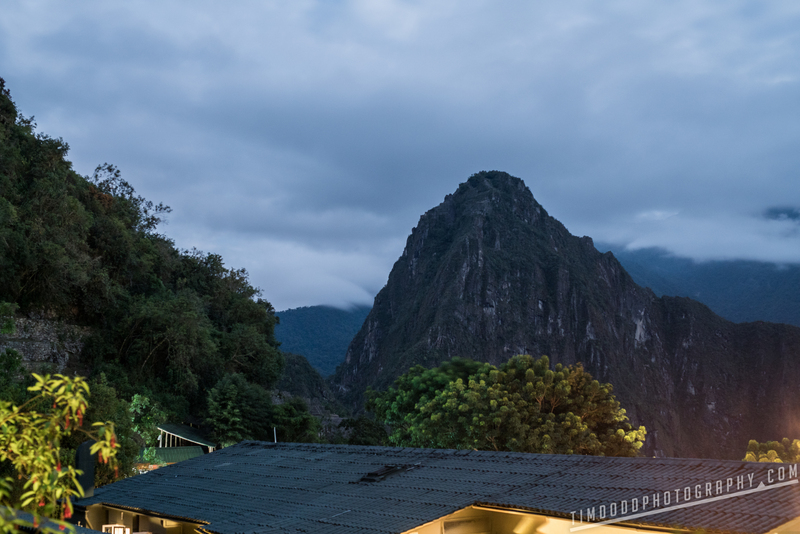 If the clouds would happen to clear, you MIGHT be able to get a picture with the stars in the sky, but there really isn’t a very good view of Machu Picchu from the Belmond. But what you do get is major convenience. 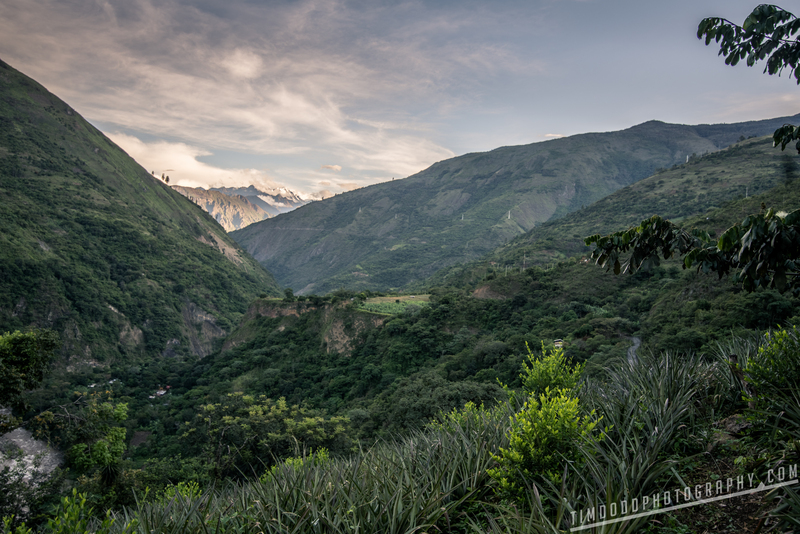 It is the only hotel right outside Machu Picchu’s entrance gate, which means you’ll skip the 30 minute bus ride down to Aguas Calientes each way. 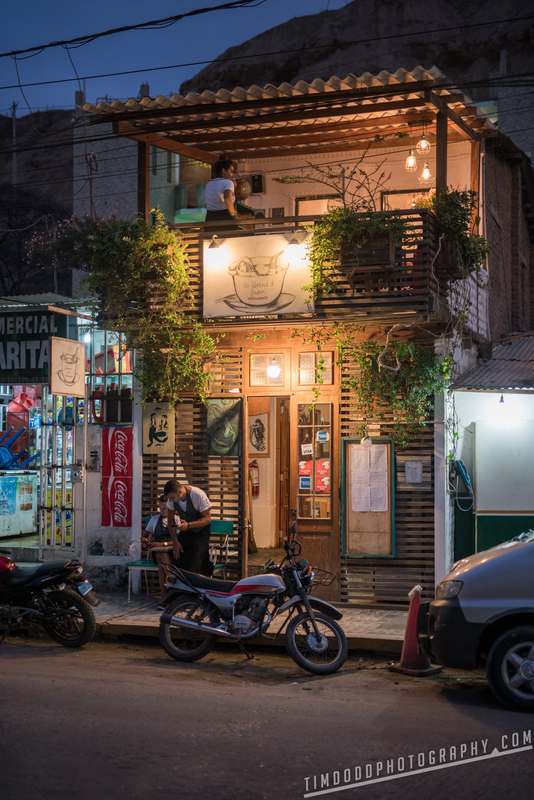 I didn’t hear any fellow tourists rave about any hotels down in Aguas Calientes, which are still pricey due to being a major tourist zone. And the Belmond’s attentive staff, on-site restaurant, hot tub and cushy rooms made our stay well worth the dough. Another quick note, I originally thought I would maybe try and sneak in after hours, but after realizing how much security is out there, I decided I didn’t want to spend time in a Peruvian jail and figured our accommodations at the Belmond were probably much better. 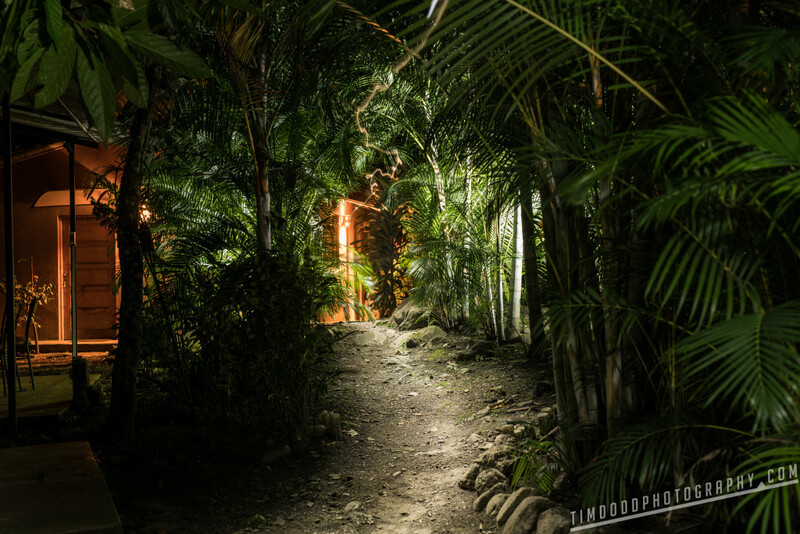 Machu Picchu from Belmond Sanctuary Lodge at night. You can’t actually see much besides Huayna Picchu, the mountain behind the ruins. The Belmond took our bags at the Aguas Calientes train station and got them up the mountain to the hotel for us. We then skipped the step most people take of getting to their hotel/hostel in Aguas Calientes and went straight on the bus to Machu Picchu and the Belmond. For those wondering how much time it takes to do all this, here’s our approximate timeline of the day: We left Cusco at 6:00 a.m. The ride took about 2 hours, giving us 30 minutes to recoup. We caught a train in Ollyantaytambo at 8:30 a.m. which got us to Aguas Calientes around 10:00 a.m. Once in Aguas Calientes, we were able to catch a bus almost immediately, around 10:30, which got us to our hotel at 11:00. Belmond has a day room which they let us use to change into our hiking gear since our room wasn’t ready yet. This ended up working out great and we were walking into Machu Picchu before noon. We spent about three hours there the first day, which we found to be plenty after our long travel day. We also were ready to go celebrate after our recent engagement and were lucky enough to just walk back to our hotel immediately to relax. Since we stayed so close to the gate, it was no big deal to sign up for the first hike up Huayna Picchu (sometimes spelled Wayna Picchu). We had to book our tickets online ahead of time on that same awful website you use to book your Machu Picchu tickets. You really need to get these tickets online ahead of time, as they often sell out. Only 200 people per hike (7:00 – 8:00 start time and 10:00 – 11:00 start time) are allowed in per day. Even in the slow season in January, there looked to be about 200 people hiking with us. We walked through the front gate at 6:45 to make it over to the entrance of the Huayna Picchu hike on time. It was very foggy, as we hear it usually is, so we hoped the fog would clear by the time we got to the top. For those unfamiliar, Huayna Picchu is the mountain in the background of most pictures of Machu Picchu. It’s about an hour hike up and an hour hike down (or at least that’s what they tell you. It took us 1.5 hours up and 45 minutes down). It’s definitely a steep, somewhat dangerous route, but still well within the realm of most active tourists. The trail is narrow, but well carved and a thick cable is really comforting in some of the most dangerous portions. The heights get pretty extreme, so it’s not for the faint of heart, but the hike is reasonable, even for us sea level folk. The clouds cleared just as we got to the top. Come to find out the clouds kept the hike cool enough for us to trek it fairly easy, we felt horrible for the people who were starting their hike at 10:00 as it was getting very warm quickly. Like I said, the heights are pretty extreme, but man is it worth it! From Huayna Picchu we get a very good few of everything. You can see the road all of the buses go up from Aguas Calientes to Machu Picchu. 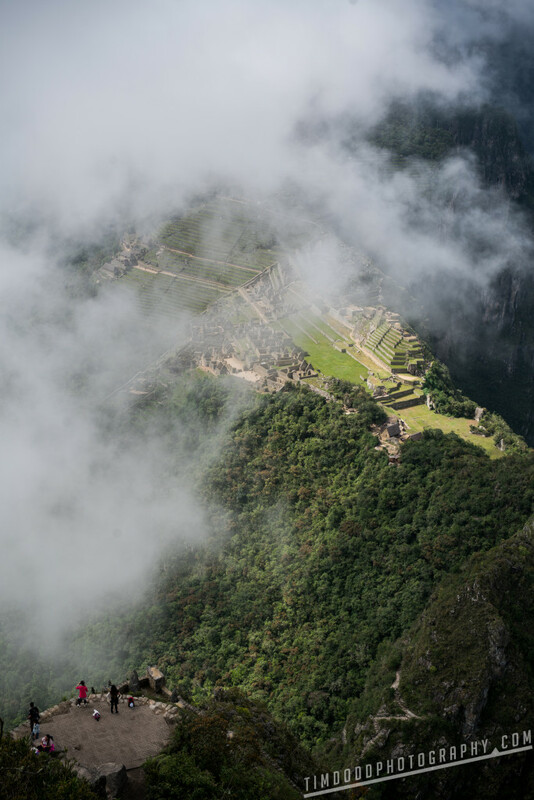 You can also barely see the Belmond Sanctuary Lodge sitting just on the edge of the clouds to the left of Machu Picchu. 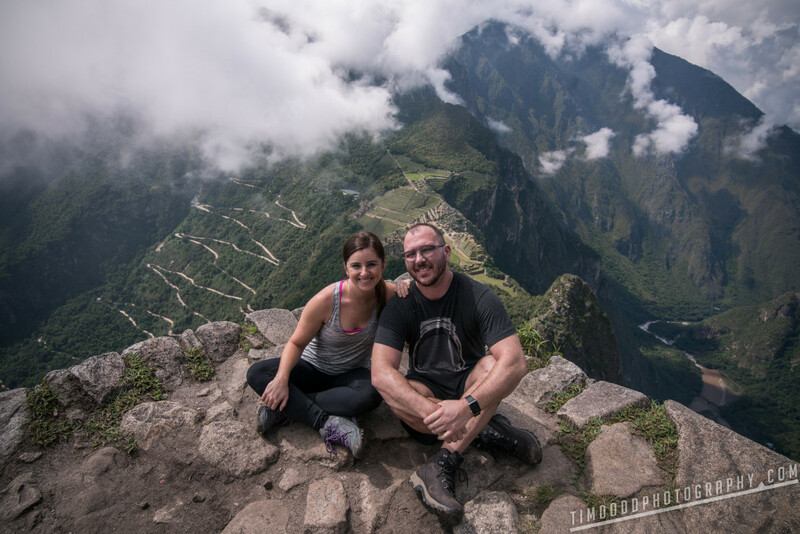 Our words of advice about Huayna Picchu would definitely be to do the 7:00 a.m. climb. By the time we were down (just after 10:00), it was so hot we couldn’t imagine climbing up. 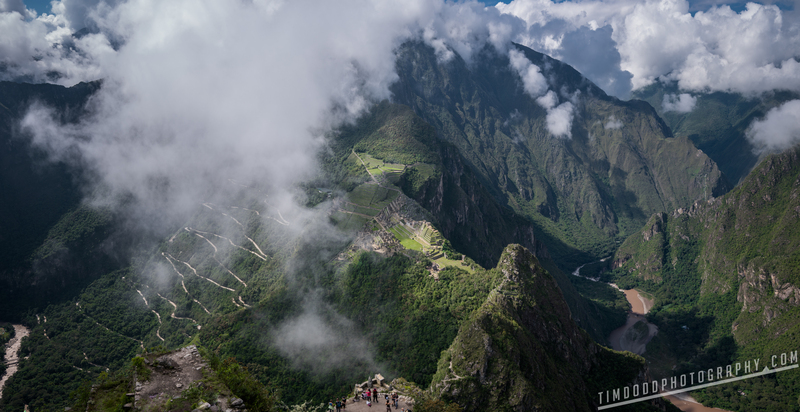 We also got to watch the clouds clear and reveal Machu Picchu as we were summiting, which made for a dramatic show. We understand this is a pretty common thing for the 7:00 a.m. hike. Bring water, a snack for the top, and hiking shoes. If you’re afraid of heights, unable to climb, not yet acclimated to the altitude, or get dizzy easily, I wouldn’t recommend the hike. Otherwise, enjoy! We had a great time and it was very rewarding. I don’t think we’d have the same level of fondness of Machu Picchu without this hiking experience. After our expensive stay at the Belmond, I had figured we’d want to spend a few nights in a more rural and truly Peruvian place. 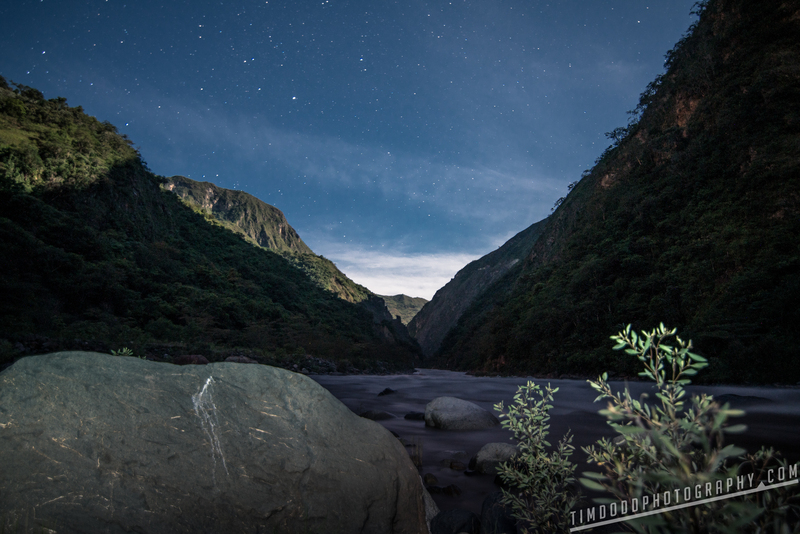 After looking on AirBnB, we found a place that was fairly close to Machu Picchu that was called “Yellow River” or “Quellomayo”. Looks pretty great, right? 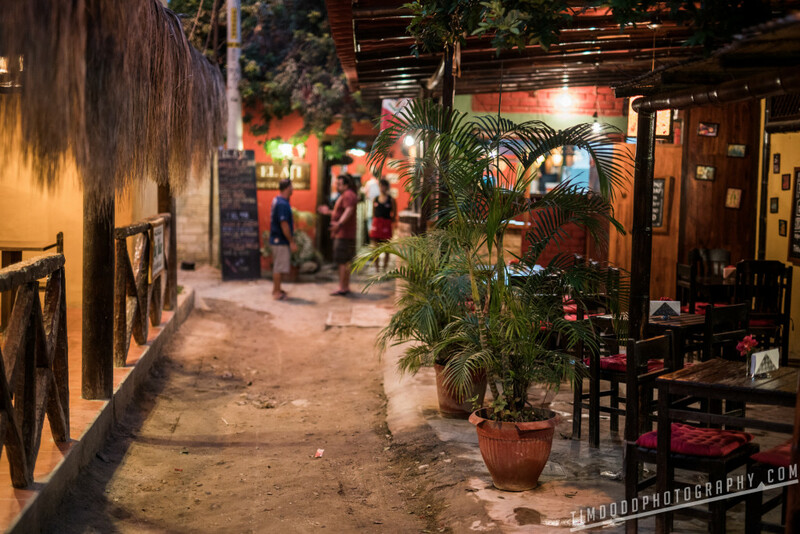 Well, we can honestly say that we found a true gem in Peru. After another train ride, a collectivo, and then a crazy taxi along the most insane roads I’ve ever been on, we finally made it to our AirBnB. When we first arrived at Yellow River, we definitely had a tiny bit of shock. After all, we were going straight from one of the most expensive hotels in Peru to one of the most remote! Once we got checked into Yellow River, it only took a few hours for the culture shock to wear off. We at first hoped we made the right decision by staying there three nights, but by the end of the three nights, we weren’t ready to leave. There’s something so magical and special about the place that all became very obvious the first night we dined with the family. The food was possibly the best we had in Peru, which again, means it’s some of the best food we’ve ever had. That family can COOK! All of the food was harvested right off their family farm. Whether it’s fresh fish from the river, avocados the size of your head, fresh bananas and passion fruit off the trees, or delicious coffee grown right there, we had to restrain from saying “YUMMM” too much so the family didn’t think we were too weird. Svetlana was an excellent cook. She spoiled us with some of the best food I’ve ever had! After learning more about the land, we realized every day we would see the backpackers walk by. 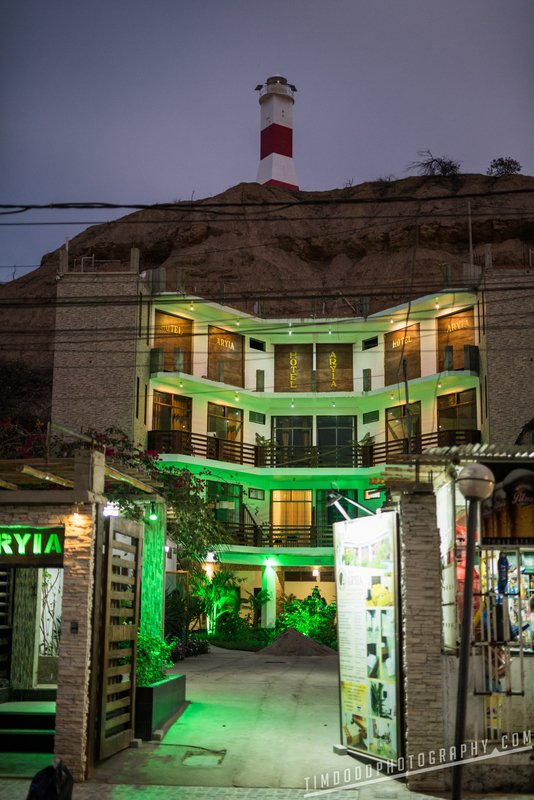 There are only about 2 other buildings anywhere near us and they serve as restaurants for those hiking the Inka Trail. There used to be a small town down along the river, but after two major floods, the town is completely gone but it spared this little section and now makes up the town of Quellomayo. Had the moon not been so bright, I probably could have gotten some pretty decent night sky there. Too bad I didn’t have anything close to that at Machu Picchu! It felt so good to fully unwind and just be able to sit in a hammock and read or listen to music. That was about the most carefree I’ve felt in a while with no obligations to worry about. The stress of the world just melted away. This is the entire family. We were fortunate enough to visit while Andrew was there. Andrew is from Britain and married into this wonderful family. Andrew helps run the place online from Britain and is often the point of contact. 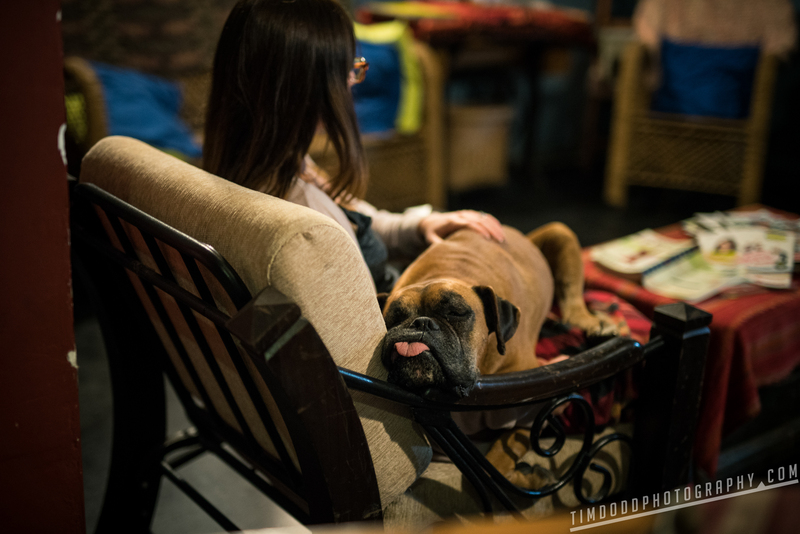 If you’re anything like us, having a friendly dog at our side made the visit that much more special! We did make the trip to Santa Teresa to visit the Santa Teresa Hot Springs or Therme Santa Teresa. 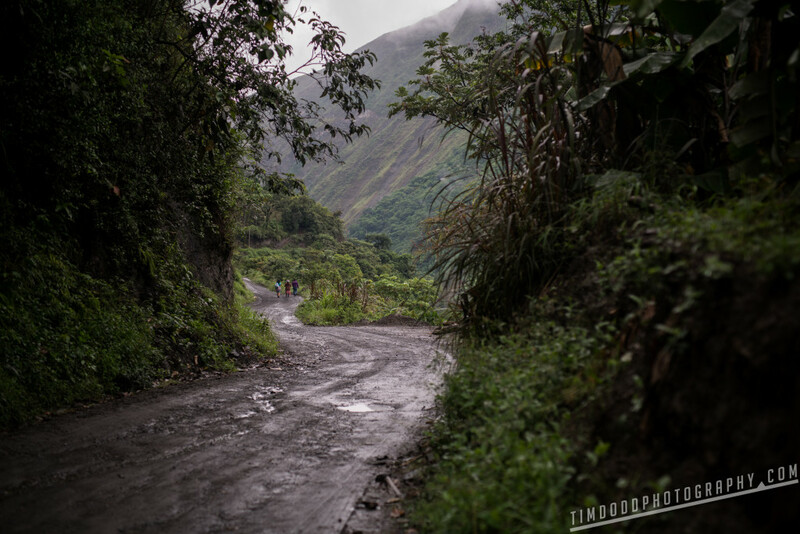 It’s about a 45 minute cab ride to the town of Santa Teresa and then another 10 minute cab ride down to the springs. It was so worth it! 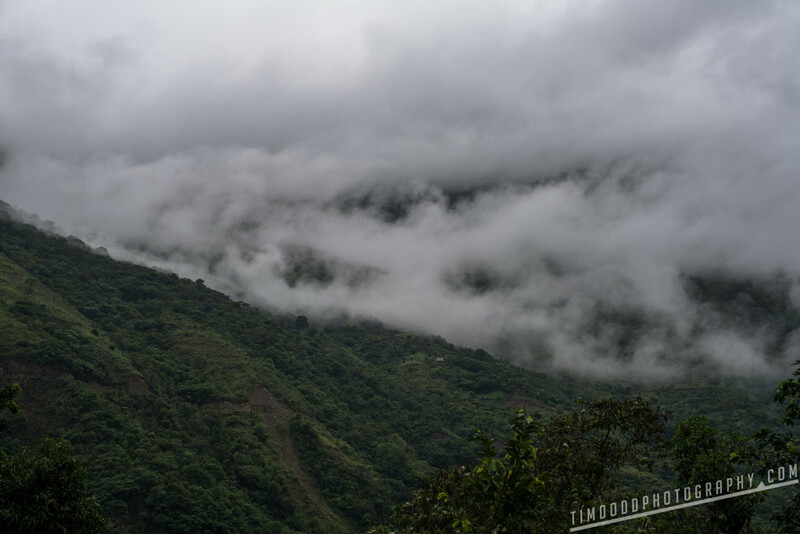 We loved relaxing and watching the clouds pass through the mountains. 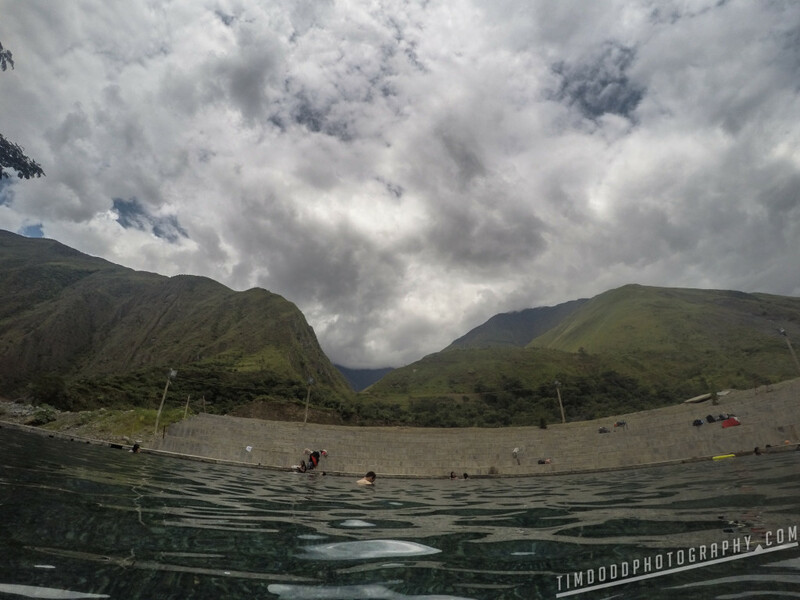 A favorite story we still tell that gives a good sense about the good people of Peru is how we actually got to the hot springs. A taxi is fine. But when you’re at Yellow River and a vehicle only comes by once every 30 minutes or so, you resort to waving your hand and smiling and hoping a gracious soul picks you up (i.e. hitchhiking). We ended up smashed four across in the front of a 3 person truck cab that was hauling Cocoa Cola to the next town. I think we paid 5 soles, about $1.50 USD for this 45 minute trip. A normal Peruvian exchange. All said and done, our time at Yellow River will go down as one of our favorite places and one we truly hope to visit again some day. 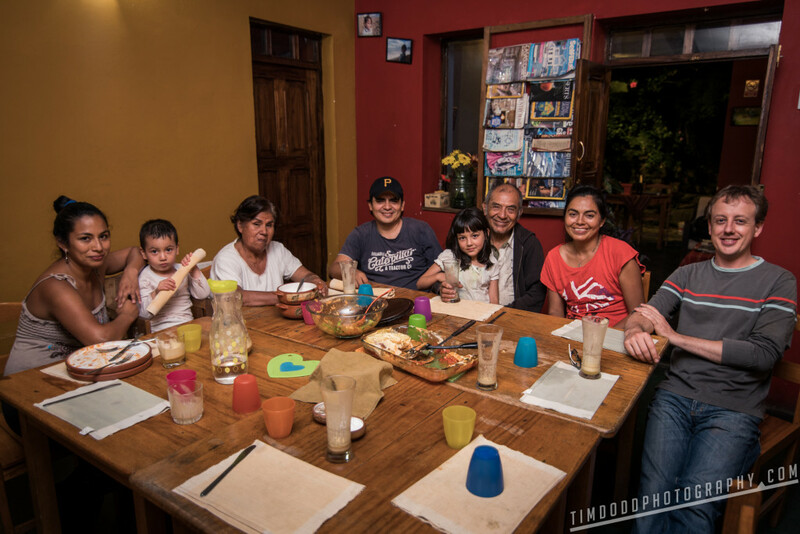 We made great friends and got to see what life in Peru truly is. It was humbling and incredibly relaxing. Mancora was one of the places we couldn’t seem to find much good info about online. It’s funny, when trying to find “Best beaches in Peru” most people say “there aren’t any good beaches in Peru” or something like that. There was even fewer recommendations for Mancora, there were only a few posts saying “Mancora is a surfers party town” and that’s about all we knew. Although there’s honestly not that much more to it, it was a true gem and much better than we expected. I think if we learned anything about Peru, it would be that everything seemed to exceed our expectations. 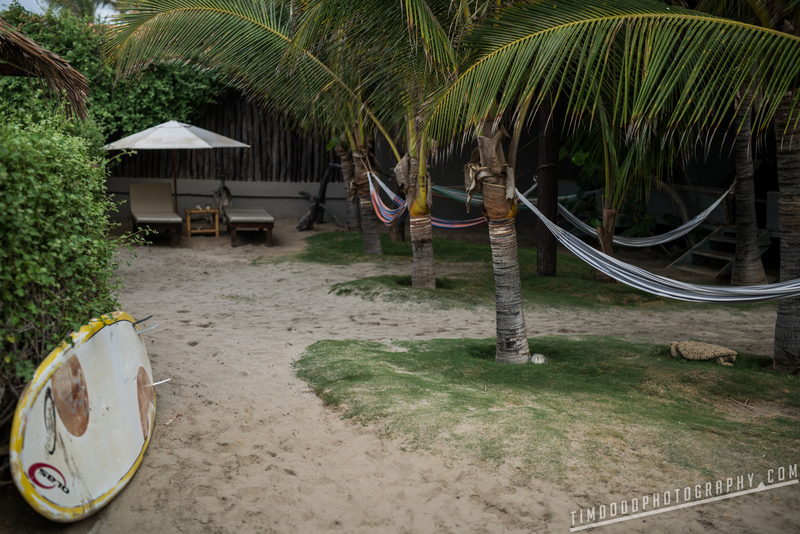 I think my favorite part of Mancora was the fact that it’s still very quaint. There aren’t any hotels with more than about 30 rooms, the restaurants are all very small and local, and the prices are very reasonable. Mancora is still fairly hard to access. 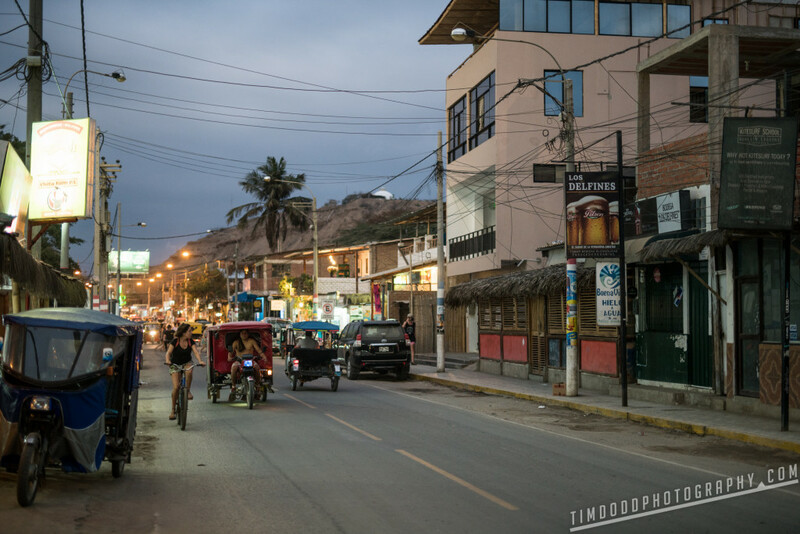 The cheapest way to get from Lima to Mancora would be by bus, but that takes a full 16 hours. Coming from Yellow River, we took a 4 hour collectivo to Cusco, a 1.5 hour flight to Lima (2 hour layover), then a 1.5 hour flight to Piura. From Piura we hired a 2.5 hour taxi ride to Mancora. If your flight arrives before 7:00 p.m. or so, you can take the Eppo bus for only a few US dollars. Sharing a taxi with other travelers going to Mancora will be your only option after hours, which cost us about 220 soles ($75 USD) for four, and the plus side is meeting new friends which to hang out with in Mancora! Needless to say, it was an incredibly long day. We were so nervous that we would miss our flight to Piura from Lima since our flight out of Cusco was delayed, but come to find out flight delays are the norm in Peru. The entire country seems to be about 30 to 45 minutes delayed on each flight, so don’t panic if you have a connecting flight to get to somewhere. There’s a good chance your next flight will be delayed anyway! Mancora shops and restaurants are wonderfully decorated and quaint. 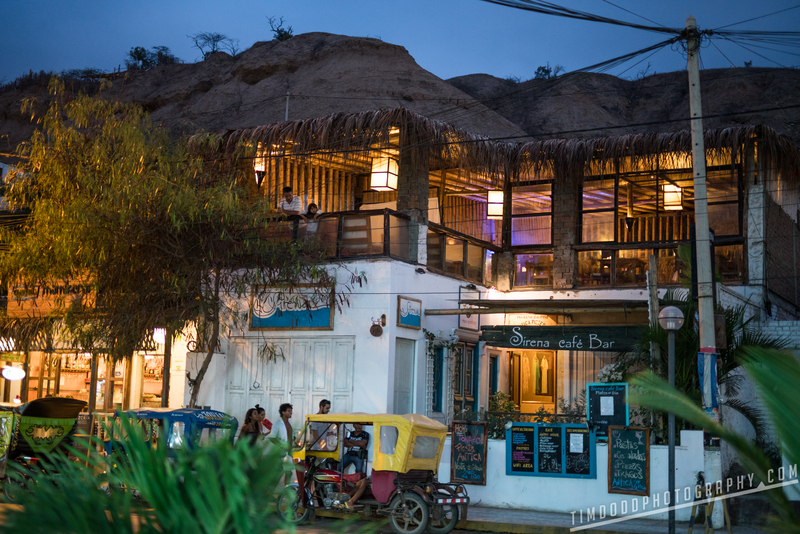 I’m such a sucker for small and intimate restaurants and Mancora is full of them. This was about the biggest hotel we saw while in Mancora. I have a feeling if we come back in a decade, we’ll be in shock. I can see Mancora getting much more popular in the future, especially if they get an airport closer. Mancora definitely gets loud each night. There’s about 5 bars that are right on the beach that all crank their music to 11. If you are staying right on the beach, maybe think about staying a little further out of the city center so you aren’t awaken by the loud parties. 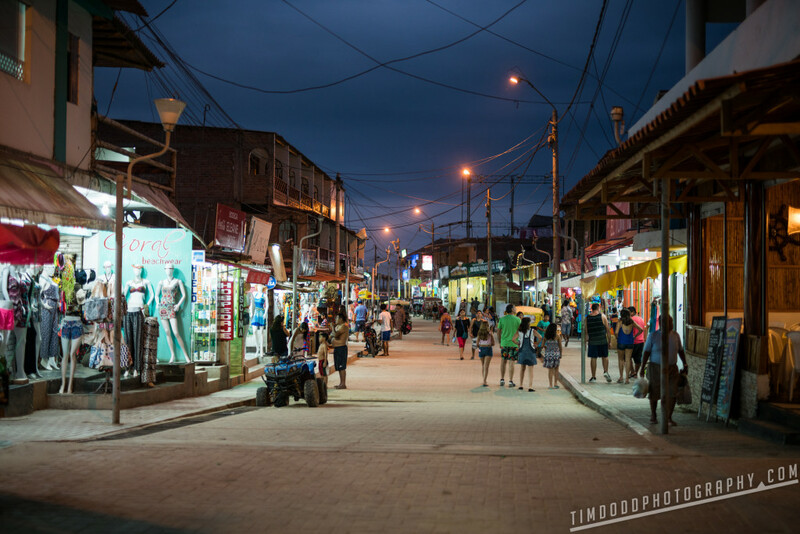 Mancora is just as common amongst Peruvian tourists and foreigners. We met a lot of people from Australia, New Zealand and Europe, but there were also handful of local tourists. I personally love that, it means it’s not too big and expensive to scare away the local market. 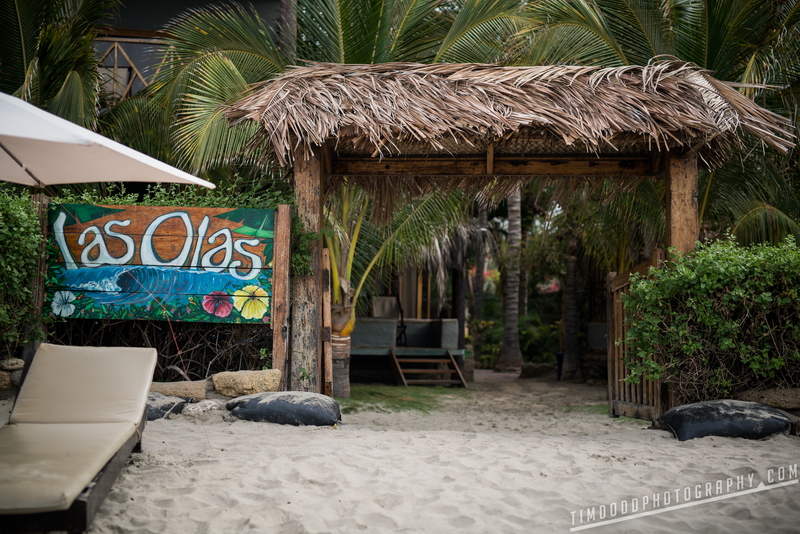 In general we were absolutely in love with our little hotel Las Olas. Had it not been for a very strange fluke when checking out, we would’ve walked away saying 10/10. Being right on the beach, but just far enough away from the loud party scene was perfect. 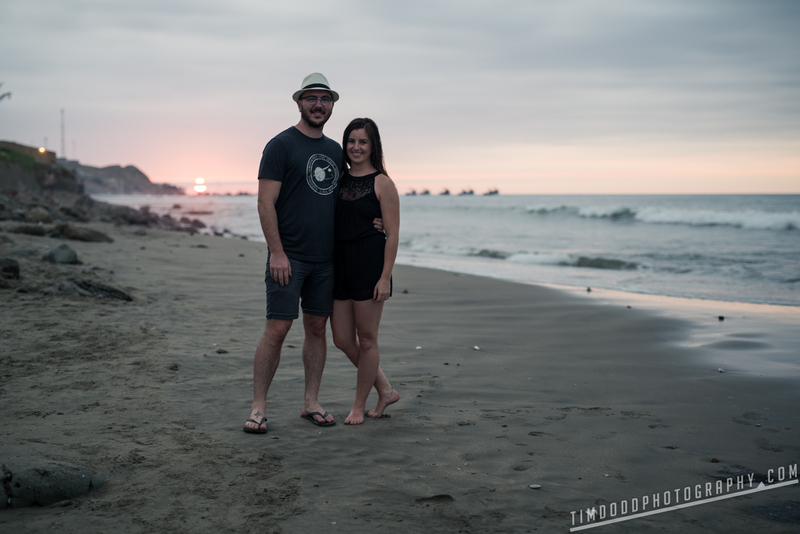 To sum up, Mancora was the PERFECT way to end our Peruvian adventure. After hiking and exploring, nothing was better than sitting on a beach and having a cocktail for a few days. We hoped for a decent beach and we got it, but the excellent food and charming town made it that much more special and fun for us. Peru will be a repeater for us. We loved it so much we can’t wait to go back. I think one thing that stood out to us is despite being such a touristy country, we didn’t feel like we had a huge target painted on us. In general, the people seem to be more willing to truly help and not just try to take advantage of foreigners. We hope when we visit the rest of South America it treats us as well as Peru did. Hopefully we can help you make some decisions on where you want to go. We’re very happy with our itinerary and we’re glad we slowly ramped up into adventure (lots of it) and then winded down into a relaxing end. 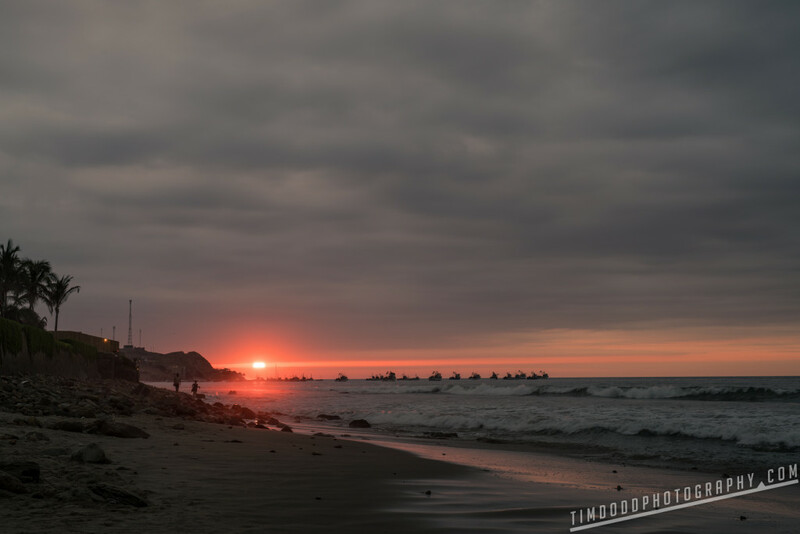 We highly recommend checking out Mancora if you’re looking for a great beach to relax on after the adventures at Machu Picchu. This will help others plan Tim, it's a great resource and the photos are sublime. Here's hoping we see you both soon. Thanks so much for the mention.